MWA negotiated on behalf of the Nation to bring Esso onboard as the fuel provider. The Loon River First Nation is located at the central point on the shortest travel route between Edmonton and Yellowknife. 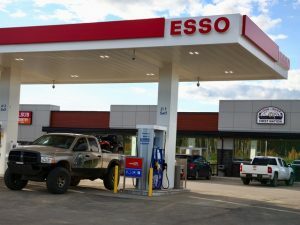 The Nation saw the opportunity to create a desirable truck stop facility to attract the steady flow of northern truckers – as Highway 88 is now the fastest way to the Northwest Territories time wise and involves less elevation compared to the route through Peace River. Just as important, the facility needed to appeal to neighbor First Nation communities who would hopefully be regular customers. Loon River First Nation sought an experienced partner they could trust to guide the entire process: business planning, grant applications, brand partnership negotiations, site preparation, design, construction, staffing and operational support. To serve truckers we included a 24-hour Cardlock, shower and laundromat facilities. As the Project Lead, Mark Walsh & Associates was involved in all aspects of the development. MWA drew on the extensive experience of associate Terry Coyes to secure maximum funding through available Federal grant programs and Peter Moore on the planning and land development side. 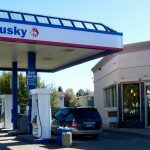 Mark was able to attract four national retail brands (Esso retail, Esso card lock, Mr. Sub and Country Style Donuts) as partners, which he saw as crucial to attracting off-reserve business. To meet the needs of long-haul truckers, the facility was built to include a card lock, private showers, laundry facilities and rig parking. 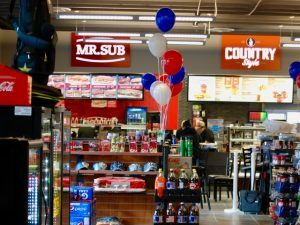 Inside is a full-service c-store, featuring Mr. Sub and Country Style Donuts (with drive-thru). 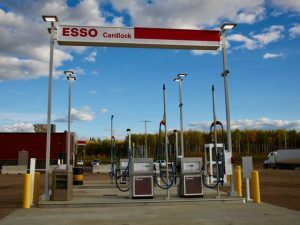 Within two months of opening, The Loon River Truck Stop has become the highest volume convenience store facility in Peace River Country – shattering all expectations. It is currently employing 30 band members. To ensure the ongoing success of the store, MWA has committed to providing ongoing operational consulting services for the next twelve months to ensure a high quality of execution at all levels of operations. Mark Walsh has personally been involved with Loon River youth in a mentoring capacity from the beginning, and takes great satisfaction in seeing the opportunities this project has created for this warm and tight-knit northern community.